There are various types of eczema but the most common is called atopic eczema, which affects around one in five children. In the vast majority of cases, children develop the condition before their fifth birthday. Eczema refers to a condition that causes sore, itchy, dry, cracked skin. Although it can affect adults, it is most common in children and tends to affect backs or fronts of the knees, the outside or inside of the elbows, around the neck, the hands, cheeks, or the scalp. The cause is still unknown but scientists believe it is linked to allergies rather than one single trigger. 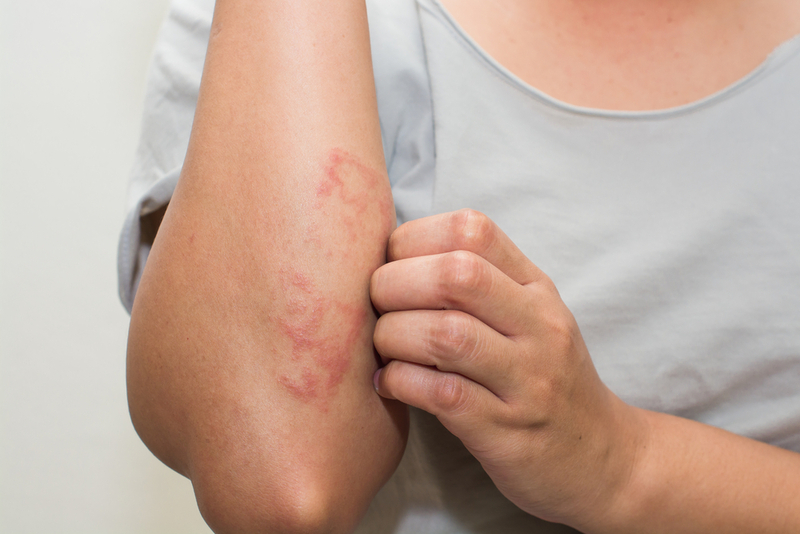 Sufferers can find that eczema flares up following contact with common allergens like pollen, soaps, detergents and even food. Atopic eczema is a chronic condition but medication can reduce the itching and soreness that occurs when the eczema flares up. Children with eczema tend to find that the condition improves as they get older.